We already know that Indianapolis has a strong startup scene. Fort Wayne and Valparaiso are also bursting at the seams with new entrepreneurial activity. But, right across the river from Louisville, in Jeffersonville, Indiana, Velocity is about to graduate their first class of startups. Each of the five teams in the Velocity accelerator received $20,000 in seed money in exchange for a small amount of equity. They also received free workspace and access to mentors from across Kentucky and Indiana. We’ll be on hand to see these startups graduate from the program in front of a room full of investors later this summer. 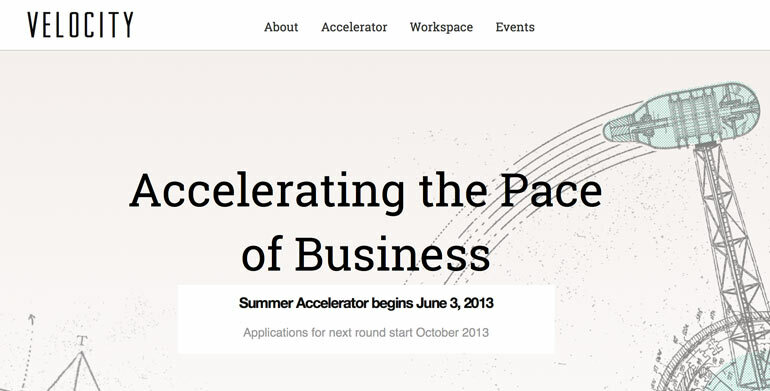 In the meantime here are the five teams that are accelerating at Velocity. Change My School- Change My School is a platform for students, teachers and parents to upload and watch videos. It is available to users of all ages and provides a video contest platform. The winning videos each month receive $1,000 for items such as supplies, projects, or technology. It also provides students and teachers opportunities to incorporate creativity, video technology and project based learning into their classrooms.